I saw this combo on one of my favorite fashion bloggers Tara from Mix & Match Fashion (she is fabulous by the way and you should definitely check her out), and I couldn't help myself but to repeat the same awesome look. 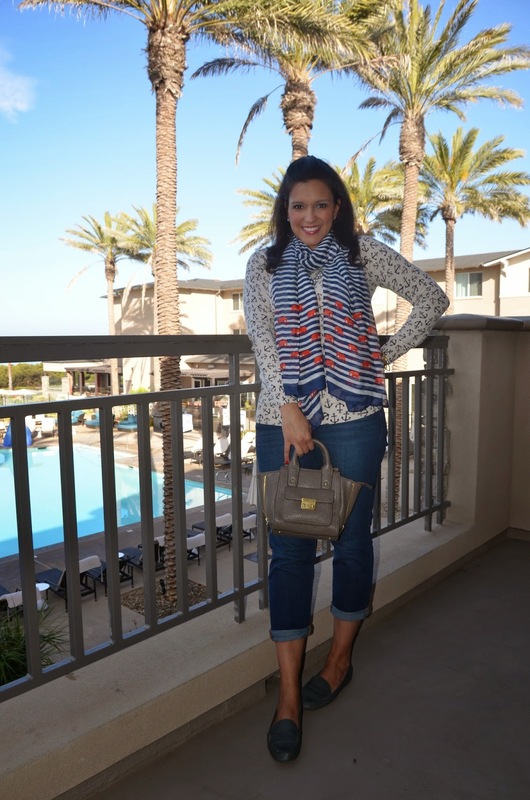 I figured what better place to put on an anchor sweater and a striped scarf with elephants than when I was in San Diego. This scarf will definitely be on major repeat, I just love the colors and the print! Sweater: Old Navy on sale!! !